Do you ever have joint stiffness, aches, pains or swelling in your knees, hips, hands or back? Is your movement sometimes restricted by less flexibility in your joints? Would you like to have more energy, last longer to do the things you enjoy, or even have stronger, longer hair and nails? 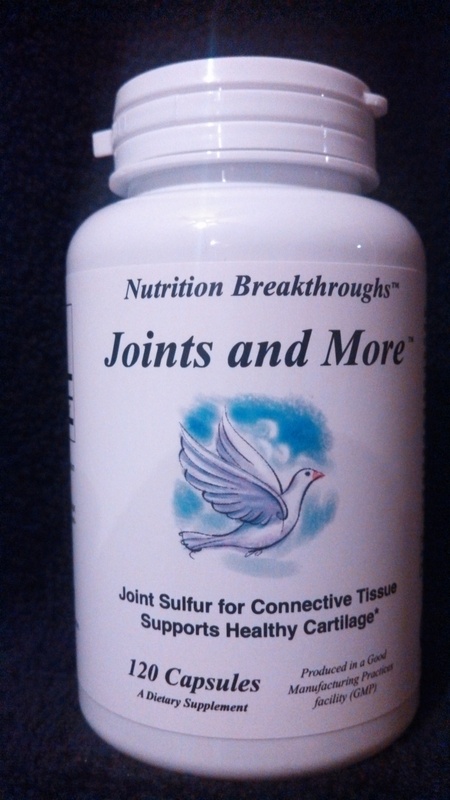 Joints and More contains a natural form of the mineral sulfur which in research studies and customer reviews has been shown to provide joint relief, pain relief, allergy relief, increased energy, and natural hair and nail growth. This water-soluble mineral is found in the body, in nature, and in foods such as milk, fresh fruits, vegetables, seafood and meat -- but food processing methods such as heating, washing and freezing, all deplete sulfur in foods, which makes the use of supplements beneficial. Ellen N. of Littleton, Colorado says: "I developed painful arthritis in both knees. The orthopedist prescribed physical therapy, knee braces and an eventual surgery. Someone I know who works for a nutritional supplement company offered me a sample of MSM. I started taking three one gram (1,000 milligram) capsules of MSM a day. Soon I had the same spring back in my legs just like before all this started. Now I'm walking faster and even climbed on my roof to trim some trees. I feel like a new woman." For Osteoarthritis Knee Pain: A study titled *Efficacy of MSM in osteoarthritis pain of the knee. * This study was done at Southwest College of Naturopathic Medicine & Health Sciences in Tempe, AZ. Participants received 3,000 mg twice daily (a total of 6 grams per day) of either placebo or MSM for 12 weeks. Compared to placebo, those taking MSM had statistically significant reductions in pain and reduced difficulty in performing activities of daily living. 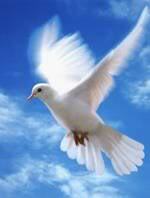 Important improvements in stress and cardiovascular health were also observed. For Seasonal Allergies: A study titled *A multi-centered trial on the safety and efficacy of MSM in the treatment of seasonal allergic rhinitis (hay fever or nose inflammation). * In a study of 55 patients with seasonal allergies, MSM at 2,600 mg. per day significantly reduced upper and total respiratory symptoms within 7 days. Lower respiratory symptoms were significantly improved by week 3. Few side effects were associated with the use of MSM and no patient dropped out of the study due to adverse reactions. Energy levels increased significantly by day 14. This natural substance, once called "Factor N" (for returning cells to Normal), builds and maintains healthy collagen in tissues. Collagen forms the basic building blocks of joints, tendons and spinal discs and is also found in nails, hair, and skin. 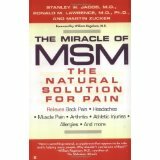 Some of the information on this web page comes from the book *The Miracle of MSM: The Natural Solution for Pain,* written by Stanley Jacob, M.D., the co-discoverer and *Father of MSM*, and Ronald Lawrence, M.D., Ph.D. Together they have treated over 12,000 people with MSM for a variety of conditions at the Oregon Health Sciences University in Portland Oregon. MSM can also be beneficial for carpal tunnel syndrome. This is a wrist condition causing tingling or pain in the hands and fingers. It can benefit TMJ pain, which is the joint in front of each ear that allows the jaw and mouth to open and to bite, chew, talk, etc. MSM can also lessen gingivitis or gum infections (with MSM mixed in water and used as a mouthwash or applied directly to the gums), and it can help sinusitis and food allergies. Regarding back pain, Dr. Stanley Jacob suggests MSM should be considered as a partner in approaches such as chiropractic. MSM doesn*t reduce the size of a protruding disc for example, but it relieves the inflammation around the disc. He says that a non drug-based approach is better, but it may take a higher level of MSM, and often for a longer period of time, to relieve back pain. Joints and More is made from *organic* sulfur (meaning coming from living things) and is a 99% pure, simple molecule, indistinguishable from the form that*s found in nature. Tested to contain a minimum of 99.7% purity. Contains no sugar, salt, starch, yeast, wheat, gluten, corn, soy, milk, egg or preservatives. As in any supplement or medicine, it*s best to take the least amount possible that gives you the desired benefits. Each person is an individual and you may need to do a bit of experimentation to find the right level of MSM. Stanley M. Jacob, M.D., says *It*s best to take MSM during or after meals. Over the years, thousands of patients have experienced healing benefits by taking 2 to 8 grams (2,000 to 8,000 milligrams) of MSM a day. * (This would be 2 to 8 capsules of Joints and More). The amount depends on their stomach tolerance and their condition. For general maintenance and health, a dosage of around 2 grams (2,000 milligrams) or less is usually adequate. Higher doses are typically necessary to experience therapeutic effects. You may need 3 to 4 grams of MSM a day to control allergic symptoms of sneezing, runny nose and burning eyes during allergy season. The higher the dose you can take without developing an upset stomach, the quicker you will experience a good response. If you don*t see a response, increase the dose slowly. Start low. Work up slowly. Build up to an optimum dose perhaps over a 2 or 3 week period. Many people start off with 2 grams a day and increase another gram or two after several days. As you raise the level, divide the doses during the day. As a general rule, don*t take MSM (in the evening) or close to bedtime. It might keep you awake as it has the tendency to increase your energy level. If you overdo it, you may develop stomach discomfort or more frequent stools. Just cut back if that happens. MSM has not been found to interfere with any prescribed medication. Its healing effects often allow cutting back on prescriptions; however never make this decision without the advice of your doctor. Anyone taking high doses of aspirin or blood-thinning medication should exercise caution when using MSM as it can have a blood-thinning effect. How to use Joints and More on the skin: For topical use with uncomfortable joints, use a regular hand cream or face cream and add one capsule of Joints and More to one teaspoon or tablespoon of the lotion. Mix well and use all of the mixture at one time, rubbing it into the skin well. You may notice some powder or crystals left over on the skin, which can just be brushed off. How to use it as a Mouth Wash for Healthier Gums: Mix one capsule in a quarter cup of water and swish it around in your mouth, particularly covering all gum surfaces. This can help with gingivitis. It can also be sprinkled onto toothpaste. * From the book *The Miracle of MSM - the Natural Solution for Pain*. These statements have not been evaluated by the Food and Drug Administration. The nutrients and products discussed here are not intended to diagnose, treat, cure, or prevent any disease. Site last updated 8/31/15.